The Faculty of Education opened the Department of Basic Education to improve the quality of education and educational environment in the Palestinian schools to meet the needs of the society. The department is responsible of graduating specialized teachers for the primary level able to improve their capacities to the maximum. Moreover, the department adopts cutting-edge teaching techniques to prepare professional teachers. To contribute in developing curriculums that follows the international standers of quality. To open new majors in the faculty to provide students with more options in all fields of Education. It is specialized in providing the faculty with the required courses for graduate and undergraduate students. 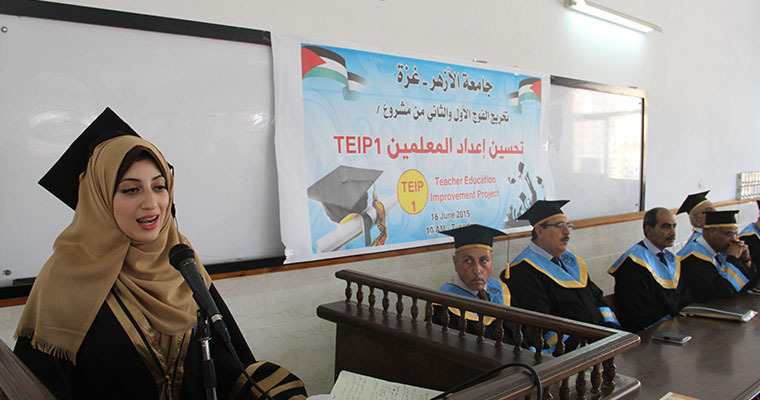 The program started in 1997 to fulfill Gaza educational needs of primary level teachers. It offers bachelor's degree in Basic Education. To prepare students to work in the educational field. To prepare specialized Basic Education teacher's experts in teaching students in primary school. The preparation includes: the scientific, educational, social and psychological aspects necessary for learners at this critical age. To provide teachers prepared to teach in higher primary stage of basic education with additional skills, which includes an in-depth study of a particular scientific discipline. This unit is considered the most important unit in the Faculty of Basic Education, as it is responsible of the practical implementation of the theoretical aspect of Education. It provides students with the opportunity to put the educational theories and concepts they learned into practice. This helps in improving the students educational skills required for the educational development. Therefore, the students should attend two educational semesters in primary and secondary schools, where they can experience the daily professional life of teachers. The unit of Practical Education distributes senior students on schools, and they will be evaluated and guided by assigned specialized mentors through weekly visits to their schools, and performance reports prepared in cooperation with host teachers and school principle. The evaluation is based on precise standers. The unit includes a modern computer laboratory, and well equipped classroom for practice.